Home » Kent Magician News » Magic by the Sea! 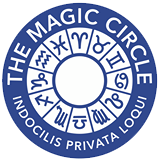 I have performed my close up and walk-around magic in many different situations and a variety of venues. 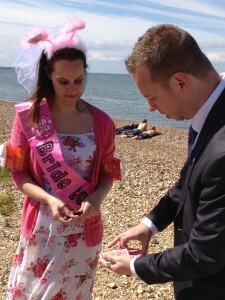 I have also had the pleasure of performing magic for Hen parties all around Kent, but this is the first time I have performed for a Hen Party on a beach!!! This was a beautiful, hot Saturday afternoon in July and although only a small gathering, the intimacy of the magic being performed for a small group only made it more special. The Hen Party was being held on a small part of Whitstable’s beach front and unknown to me, during the weekend of Whitstable’s famous Oyster Festival. As you can imagine the town was heaving and your truly not only got to entertain the guests for the party but various groups of passers by who stopped to watch the magic! Perhaps they thought they were witnessing the next Dynamo! Remember close up magic can be the ideal form of entertainment for any type of party or event. If you would like any more information then do not hesitate to call 07739 884817 or click here.